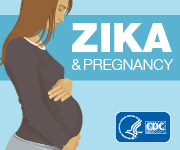 CDC’s top priority for the Zika response is to protect pregnant women and their fetuses from the adverse effects of Zika virus infection in pregnancy. As a result, CDC continues to evaluate all available evidence and update recommendations as new information becomes available. CDC has updated its interim guidance for U.S. healthcare providers caring for pregnant women with possible Zika virus exposure based on emerging evidence about laboratory testing for the diagnosis of Zika. A primary strategy to reduce Zika-related pregnancy complications is to prevent pregnancy among women who want to delay or avoid pregnancy. CDC published contraceptive use data for states where mosquito-borne transmission of Zika is possible. During this COCA Call, clinicians will learn about the updated CDC interim guidance for caring for pregnant women with possible Zika virus exposure, and strategies for increasing access to contraceptive methods and services to minimize the number of pregnancies affected by Zika. Discuss revised diagnostic testing for Zika virus infection among pregnant women. Discuss clinical management of pregnant women with confirmed or possible Zika virus infection. Review use of a range of contraceptive methods in states, with a focus on highly effective methods. Define strategies for increasing access and availability to highly effective contraception. CNE:The Centers for Disease Control and Prevention is accredited as a provider of Continuing Nursing Education by the American Nurses Credentialing Center's Commission on Accreditation. IACET CEU:The Centers for Disease Control and Prevention is authorized by IACET to offer 1.0 CEU's for this program. CPE:The Centers for Disease Control and Prevention is accredited by the Accreditation Council for Pharmacy Education as a provider of continuing pharmacy education. This program is a designated event for pharmacists to receive 0.1 CEUs in pharmacy education. The Universal Activity Number is 0387-0000-16-167-L04-P and enduring 0387-0000-16-167-H04-P course category.Course Category: This activity has been designated as knowledge-based. The presentation will not include any discussion of the unlabeled use of a product or a product under investigational use.